We’re using our knowledge of design, energy and materials to make the world a better and more efficient place. 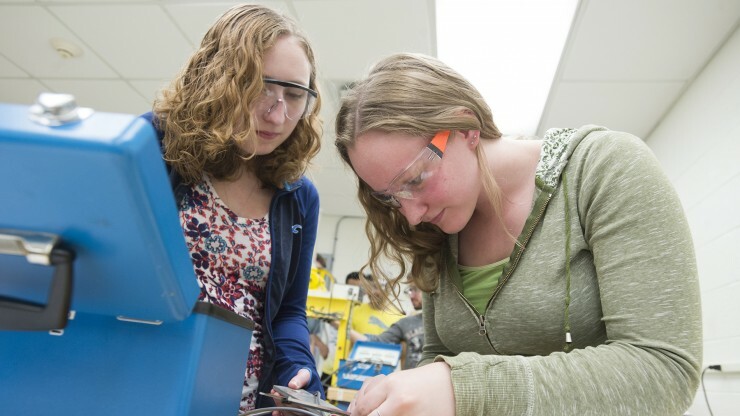 The Mechanical Engineering Department is committed to providing a professional education that is both technically current and well rounded. With a focus on personal learning, we strive to prepare students for careers in engineering, and to instill an awareness of professional and social responsibility. Laboratory experiences are a key part of our curriculum, and our department maintains labs focused on materials characterization and testing, manufacturing processes, energy systems, fluid power, electromechanical systems, ergonomics and computer-aided engineering, as well as laboratory space devoted to senior design project work. The department’s offices are located in the Allen-Bradley Hall of Science and may be reached at (414) 277-7375. Get to know our Mechanical Engineering faculty.